Android screen capture is a wonderful feature that lets you capture your android phone’s screen and save it as an image. This feature is useful because you can capture a screenshot of whatever is being displayed on the screen. This is a useful feature as most of the times you will need the screenshot to show something important to others. As picture says more than words, android screen capture makes your work even easier. With the advancement in android hardware, we are now able to record android screen without having the device rooted. There are some android screen recording apps available in Google Play Store that can record your android phone or tablet’s screen in high resolution. You can also record in full HD or 4K resolution depending on your device’s screen resolution. 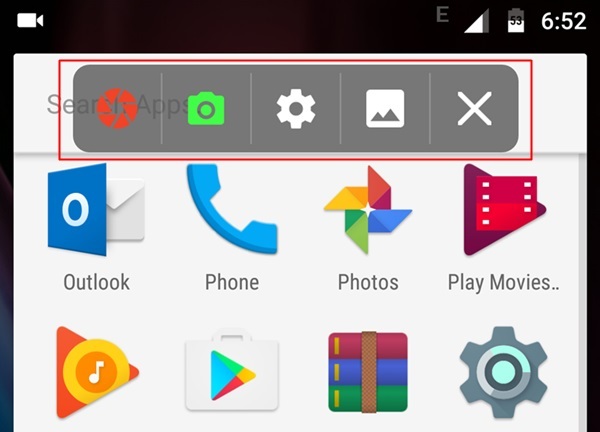 Android screen recording comes into play when you want to make a tutorial of an app. You can also record your gameplay and share the recorded video with your friends. Since it is not always possible to make the game playing strategy clear on paper so it is always better to record a video and show others for a better understanding. But any android recorder app does not record clear audio. Suppose if you are recording a gaming video then you will find that there is lots of noise in that video. This noise is the sound recorded by your phone from your surroundings. So in this tutorial, we will teach you how you can record android screen with clear audio without any background noise. Earbud shaped earphones with inbuilt MIC. Android phone running android 5.0 Lollipop or above. Download and install the AZ screen recording app for android. Tap the app to open. You will see a bar with five options like this below. Tap the gear icon to access “Settings”. Here tap “Resolution” and select the appropriate size. I prefer Full HD 1920x1080. Set the “Frame rate” to 30 FPS. 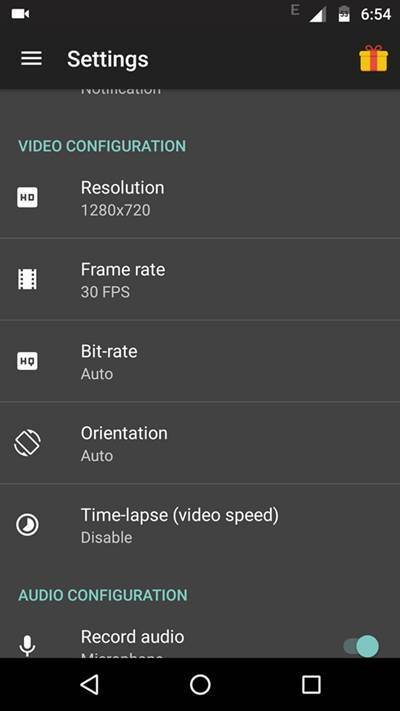 You can tap it to select 60 FPS. Do not make changes to "Bit-rate" and “Orientation”. They should be set to auto. Scroll down and make sure that “Record audio” is enabled. Then enable “Show touches”. This will let others know that where you are touching the screen. Now exit the app. You will still see the recording controls on the screen. 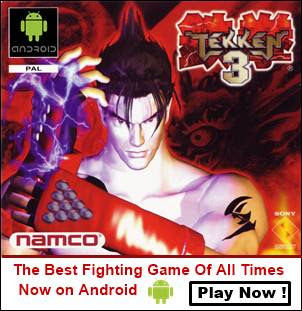 To start recording android screen tap the “Red Button”. After a countdown, the process starts. Now whatever appear on your screen will be recorded as an MP4 video. So you can now use your phone or play any game and it will be recorded continuously while you play it. When you want to stop recording then swipe down the notifications slider and tap “STOP”. Now to access the recorded video just open the app and tap the gallery icon. It will show you all the recorded videos at one place. You can play them from here. To copy these videos from your phone to PC just go to “Phone>Internal Storage>AZRecorderFree”. Here you will find all the videos. You can copy files from this location. You can edit these recorded videos in any video editor software like Windows Movie Maker. However, these recorded videos will not be recognized by Windows Movie Maker. So you have to convert them to customized AVI format. Now you have learned to record android screen without root. Now we will teach you to record the sound free from any background noise. The android screen recording apps record the sound that is picked by the microphone of your phone. These apps can’t differentiate between sounds by default record all sound that is picked by the phone’s mic. Suppose you are recording a gameplay so the app will record the gaming sound coming from your phone’s speaker. With this gaming sound, the app will also record the background noise made by anything in your surroundings like the sound made by your table fan, TV etc. So we have to minimize this unwanted background noise. Follow the steps below to record clear sound during android screen recording. Connect 3.5mm in-ear headphones having earbud shaped earphones and a built-in mic to your phone. When you connect the earphones then the phone’s default mic will not be used. The sound will now be recorded from headset’s mic. You have to locate the headphone's mic. It is a tiny hole found on the volume/call button of the headset. Now what we do is that we will stick any earphone with this headset's mic and fix them with the help of some tape. Now what will happen is that the microphone will only record the sound coming from the earphone and due to the applied tape the background noise gets totally suppressed. The earbud makes a perfect seal around the headset mic which prevents sound leakage and you record a clear sound in your gaming videos. Before recording the android screen make sure that you make the sound level to full. To increase the sound level go to “Settings>Sound & notification”. Here set the “Media volume” to full. That’s all now launch the AZ screen recorder app and record your tutorial or gameplay with clear sound without any background noise. We have recorded a video with the AZ recorder and used the same sound recording technique above. What we found? A high-quality video with clear sound. Do comment and share this article if you liked it. If you are recording a gameplay then no need to record your voice. If you making tutorials then use the microphone to record your voice. Use AZ screen recorder. However if you still need to record your own voice for a gameplay video then use the 'Record narration' feature in Windows movie maker while editing the video. Thanks for reading this article. I am glad that it helped you. az screen recorder,tried from setting in az screen. This is not allowed yet in the app, because internal audio recording is not allowed by Android.